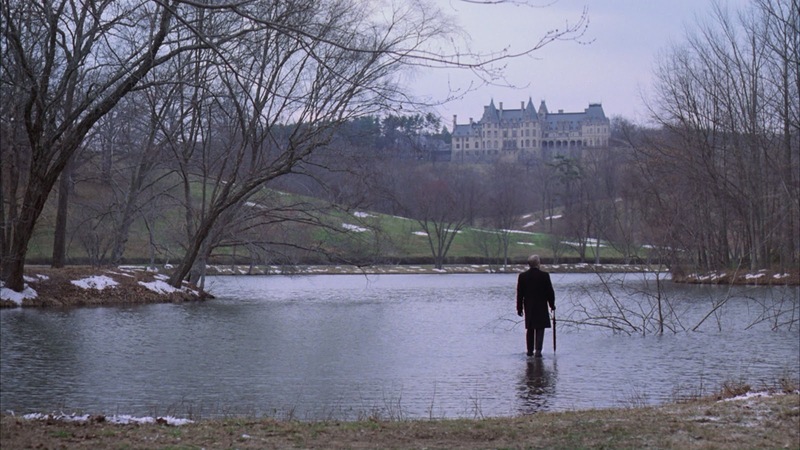 A biting satire about the blank intellect that passes for political discourse, Being There was clever in its time but more prescient than even writer Jerzy Kosinski could have imagined. Since 1979, the game of politics has become ever more about the meaningless slogan and the trivial soundbite. It turns out that Chauncey Gardiner wasn't mocking politicians: he was foreshadowing what they would increasingly become. 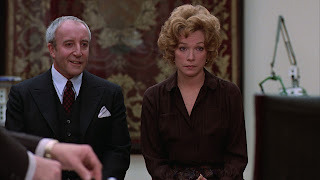 Chance (Peter Sellers), the elderly gardener at a nondescript house on the tough side of Washington DC, appears to have been born in the house and never stepped foot outside it. His only human contact is the maid, who brings him his meals. Otherwise, Chance watches television, tends to the garden and has little human contact. When the home's owner dies, the house is closed up and Chance is forced to leave, facing the world for the first time. Impeccably dressed but aimlessly wandering the streets, Chance is accidentally bumped by the limousine of Eve Rand (Shirley MacLaine). She misinterprets his name as Chauncey Gardiner, and takes him to her estate for treatment: Eve is the wife of the ailing Ben Rand (Melvyn Douglas), one of DC's most powerful back-room political king-makers. Ben takes an immediate liking to Chauncey, whose slow speech and deliberate mannerisms are mistaken for a deep intellect. Ben introduces Chauncey to the President of the United States (Jack Warden), who quotes on national television Gardiner's trite homilies about managing the national economy being the same as tending to a garden. As Eve finds herself hopelessly attracted to the mysterious Chauncey, a storm of publicity is unleashed with the media, national leaders and international diplomats scrambling to cozy up to the man who appears to have no background but enormous power and insight. In his penultimate film role, Peter Sellers reminded audiences that his acting skills extended well beyond the superficial laughs of the Pink Panther movies. 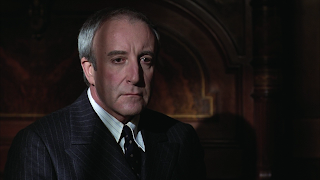 His Chauncey Gardiner is all about a vacuous adult applying artificially learned behaviour in a magnificently controlled performance, the gaps between action and reaction speaking volumes more than anything he says. The ease with which ignorance is mistaken for wisdom is a tribute to Sellers never betraying Chauncey's roots, but providing him with just enough survival skills and then letting others reach their own conclusions. A cast of veteran white men, including Douglas, Warden, Richard Basehart and Richard Dysart throw their own sharp darts at Washington DC, where macho posturing has barely progressed from the days of the musket. 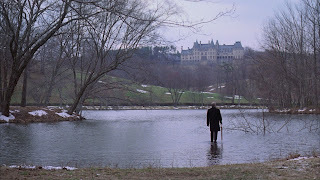 Hal Ashby exposes all that Washington DC has to offer, starting Chauncey's journey on the gritty side of town before transporting him to a world of lavish luxury in the Rand mansion. Ashby keeps the film's focus rightfully on Sellers, drawing a performance that was deservedly nominated for an Academy Award. Being There holds up a mirror to the power elite and reflects a self-obsessed monster consuming itself with all the wrong priorities. With the passage of time, the mirror has also proved to be a crystal ball.